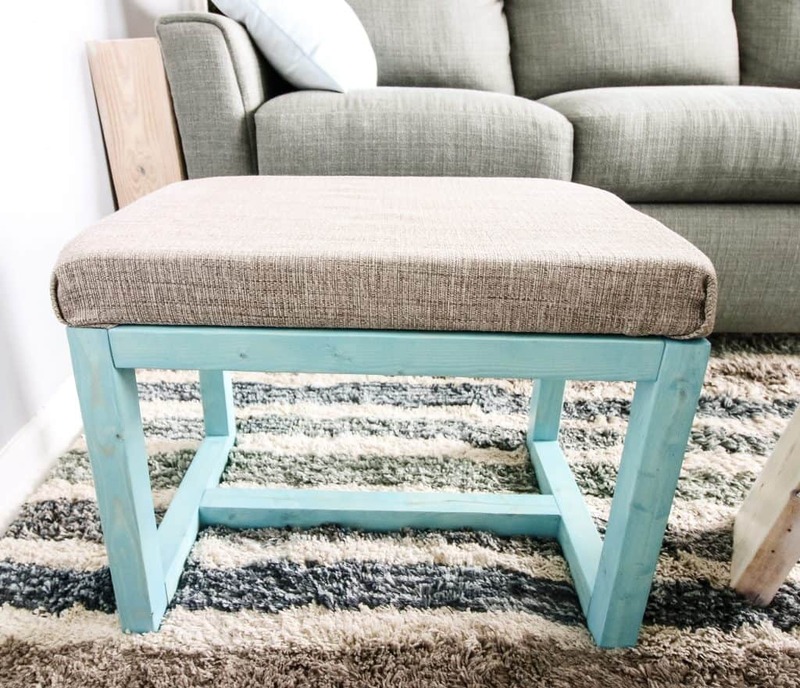 Today, we’re bringing to you a quick and easy DIY ottoman that you are going to want to build. 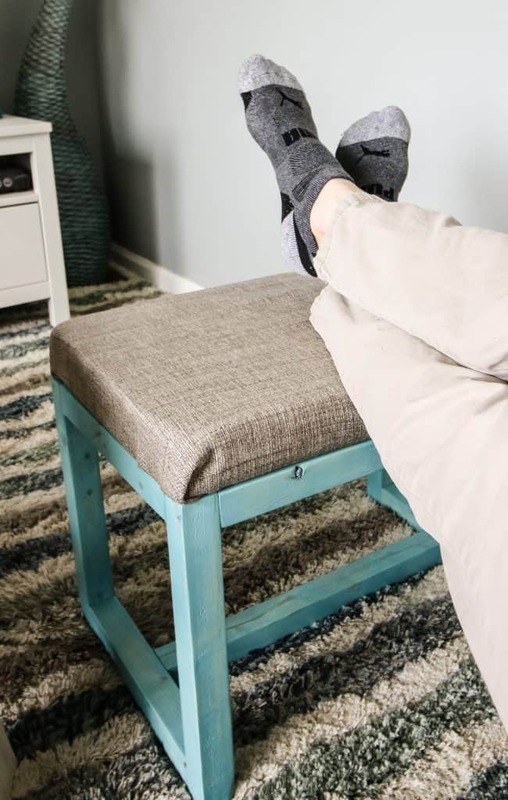 If you don’t have anywhere to rest your weary soles, run out this weekend and build this DIY ottoman. Your feet will thank you. Every since we brought you our sunroom refresh plan, we’ve been knocking out some projects to makeover this space. The first was to build a new geometric coffee table, which we are absolutely in love with. Then, we bought a new couch that better fit our space and was actually comfortable. For the new couch, we built a quick waterfall side table to fill some space. The one “downside” with this new couch is that it is just a standard three seat couch. We were used to having a chaise on our old couch, where we would often put our feet up. We quickly missed that little feature and decided to build this quick and easy DIY ottoman. So we partnered up with Kreg again on this project to fix our problem. We’ve put the entire set of project plans for this DIY ottoman on BuildSomething.com where you can get our step-by-step cuts, measurements and pocket hole placements. The entire base was built with one 8 foot long 2″x4″. Seriously. Then it was just a scrap piece of plywood, some foam and a piece of fabric. Thanks to the beauty of Kreg pocket holes, this ottoman is super sturdy. Yes, it’s for our feet to rest on. But it’s also where we sit down when we are doing anything with Luke when he’s in his swing. If my nearly 200 pounds can sit on it, it’s sturdy thanks to those screws. 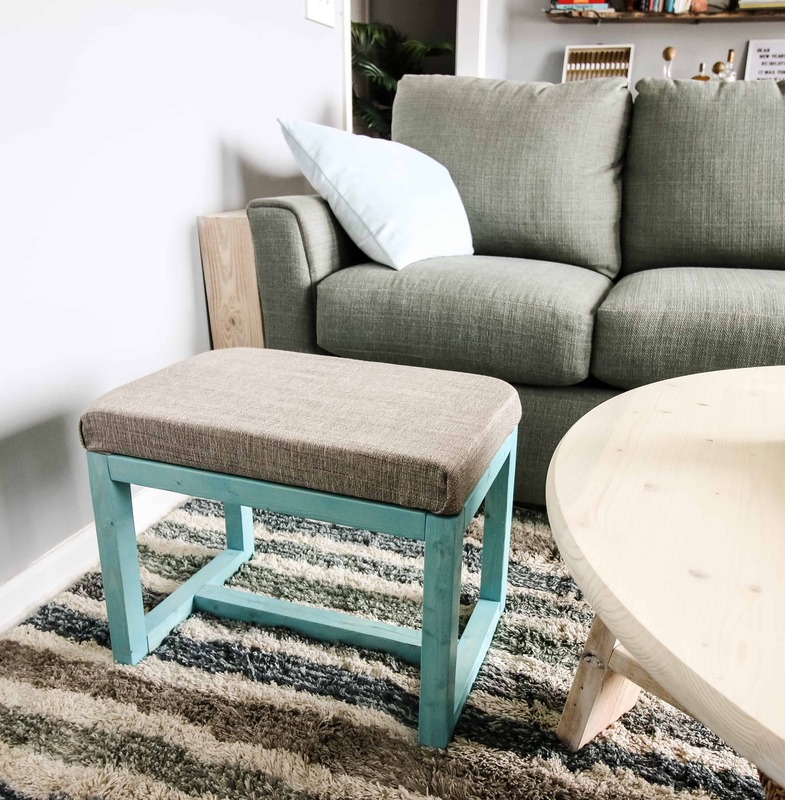 So head over to Kreg’s BuildSomething.com to get the free step-by-step plans for how to build this quick and easy DIY ottoman. Their website is full of easy, helpful plans from lots of amazing makers. 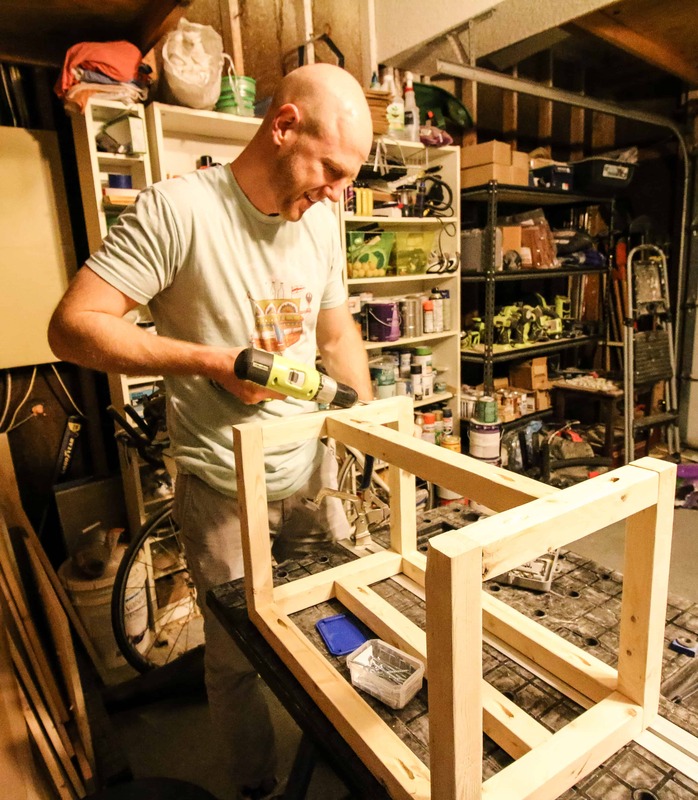 If there is any piece of furniture you’re in need of for any room in your house, BuildSomething.com is the way to go. We’ve got lots of other plans on there (including the geometric coffee table I was talking about earlier), so be sure to check them out. « Take the Purina ONE 28-Day Challenge!